City Police Commissioner Anjani Kumar visited Charminar and its surroundings areas and reviewed the security arrangements. 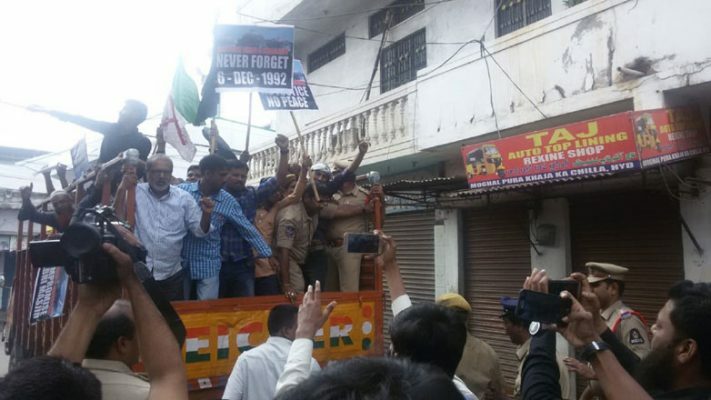 Hyderabad: Barring a protest in the old city, the anniversary of the Babri Masjid demolition observed as Black Day passed off peacefully in the city on Thursday. The Darsgah-Jihad-O-Shahadat, a city-based organization took out a protest march from its office in Moghalpura near Charminar. The activists raised slogans against saffron organizations that were allegedly involved in the demolition of the mosque. 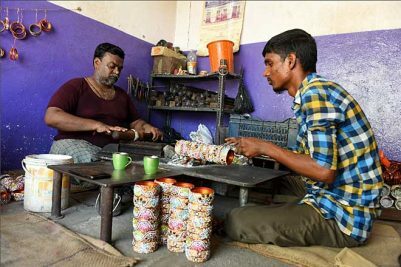 The police, who were present in large numbers, quickly picked them up and shifted them to the Kanchanbagh police station as a preventive measure. The police said about 25 DJS activists were detained. At Saidabad, a religious group organized a small meeting where several leaders condemned the demolition of the Babri mosque and demanded that it be reconstructed at the same place. Elsewhere, the city remained peaceful. City Police Commissioner Anjani Kumar visited Charminar and its surroundings areas and reviewed the security arrangements. Police pickets were posted at all sensitive spots in the city and special teams conducted patrolling to prevent any trouble. Policemen drawn from various central police organizations and State police were drafted for the bandobast duty.